PORT OF LOS ANGELES, CA – After three months of operation without a valid lease, NFI Industries, the largest trucking and warehousing company serving America’s leading port complex, has announced it’s intention to vacate property owned by the Port of Los Angeles. This decision comes three months after the LA City Council unanimously revoked NFI’s lease in the wake of the seventh strike at the site, calling upon the Harbor Commission to ensure the lease included provisions to prevent future labor disruptions. It is unknown at this time if NFI will attempt to negotiate a lease for it’s two trucking subsidiaries, California Cartage Express (CCX) and K&R Transportation, to remain on the property. Both entities are the subject of massive litigation and regulatory action because of NFI’s illegal business model that relies on misclassifying truck drivers as “independent contractors” (see below). NFI’s decision to leave the property rather than bring the company into compliance with all local, state, and federal laws presents a much-needed opportunity for the City and Port of Los Angeles to seek a tenant that will follow the laws to avoid the labor disruptions that have plagued the Port property. NFI/California Cartage, based in Wilmington, CA, is one of the largest goods movement companies in America, with warehouses and port trucking operations across the U.S. Referred to herein as “NFI/Cal Cartage,” this family of companies was recently acquired by the New Jersey-based National Freight Industries (NFI).Previous to this acquisition, Cal Cartage was owned and managed by Robert Curry, Sr. and his family. NFI/Cal Cartage represents the largest trucking operation at the Ports of Los Angeles and Long Beach by a wide margin. The NFI/Cal Cartage family of companies includes five major trucking operations at the Ports of LA and Long Beach. The four largest – K&R Transportation California LLC; Cal Cartage Transportation LLC, Container Freight Transportation LLC, and CMI Transportation LLC – have been facing multiple claims in the courts and government agencies for misclassifying their drivers. 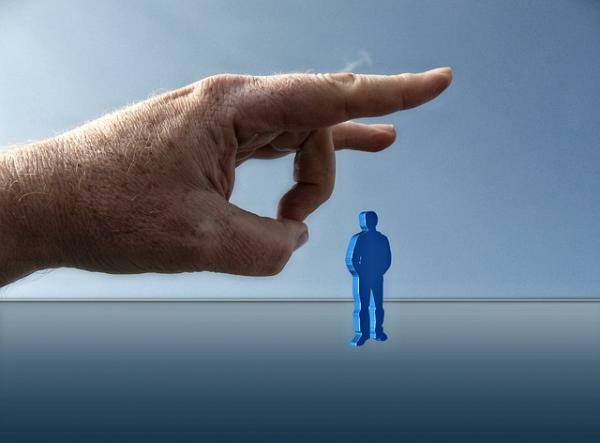 In several instances, agencies have already determined that drivers were, in fact, employees. K&R and California Cartage Express operate out of the same property as the Cal Cartage warehouse (described in the following section), CMI operates out of a nearby Wilmington yard, and Container Freight operates out of a yard in Long Beach. Combined, more than 600 alleged misclassified drivers work for these companies. On October 12, 2018, the Los Angeles City Council vetoed the Board of Harbor Commissioners’ previous approval of a revocable permit between the Port of Los Angeles and California Cartage. The council’s unanimous vote sends the land use agreement back to the Board of Harbor Commissioners and requests that they include “safeguards to protect against labor disruptions.” An amending motion was also introduced for the Port of Los Angeles to begin looking for a new tenant and requiring that any new tenant retain the workers employed by California Cartage. As a result, the Port of Los Angeles issued a thirty-day notice to terminate requiring Cal Cartage to vacate the property as of November 11, 2018. · On January 8, 2018, Los Angeles City Attorney Mike Feuer announced that his office had filed lawsuits against Cal Cartage Express, CMI, and K&R Transportation for violation of California’s Unfair Competition Law by misclassifying port truck drivers as independent contractors and evading paying taxes and providing benefits to drivers. · There are currently two pending investigations against NFI/Cal Cartage trucking companies for violations of LA’s minimum wage ordinance. In November 2018, drivers at Cal Cartage Express filed a claim for unpaid minimum wages and failure to provide paid sick days. In a similar pending case, in October 2018, the Office of Wage Standards requested the Board of Public Works issue a subpoena to obtain payroll information necessary to conduct an investigation of wage theft at K&R Transportation. · Over the past four years, there have been at least 36 decisions issued by the California Labor Commissioner in individual claims filed by NFI/Cal Cartage drivers working for K&R Transportation, Cal Cartage Express, ContainerFreight, and CMI. All of these claims found that the drivers were, in fact, employees, and not independent contractors. Together, those decisions ordered NFI/Cal Cartage to pay those 36 drivers a total of $7,326,334.35 for Labor Code violations including unlawful deductions and unreimbursed expenses. NFI/Cal Cartage appealed 12 cases, settling all of them. The remaining 24 decisions have been appealed and the cases remain pending. · There are an additional 10 K&R claims that remain pending. These drivers had their hearings in December 2017 and a decision is pending. The total liability for the 10 claims is $1.878,929.46. · At least four K&R drivers have been determined to have been employees – not independent contractors – by the California EDD in individual benefits determinations. · Since June 2017, the California EDD has filed at least eight tax liens against K&R Transportation for a total of $159,764, indicating that K&R likely owes the state for unpaid payroll taxes. · In recent years, NFI/Cal Cartage has faced at least five class action lawsuits in California Superior Court for multiple Labor Code violations, including willful misclassification, unlawful deductions, unreimbursed expenses, unpaid minimum wages, and failure to provide meal and rest breaks, along with violation of California’s Unfair Competition Law. In December 2017, the last pending case settled for $3.5 million and a final judgement was issued August 10, 2018. The company has settled four similar suits. · NFI/Cal Cartage also settled two “mass action” lawsuits for misclassification and wage theft in CA Superior Court involving 55 drivers. Cal Cartage Container Freight Station in Wilmington is a warehouse and freight center on Port of LA property and employs approximately 500 workers, with 40-50 percent of the workforce being employed through a temp agency. While Cal Cartage warehouse workers used to have good paying jobs that provided benefits, they have not had representation from a union in over 30 years and conditions have suffered. The company has been cited for serious health and safety violations twice in the past three years, and workers face serious retaliation resulting in unfair labor practices charges and five strikes. The warehouse facility has ongoing health and safety issues. The building was built in the 1940s and is poorly maintained. Several workers have been hurt just trying to walk around the facility due to potholes and poor infrastructure. The machines, including forklifts, are not maintained and often have faulty brakes and horns—leading to accidents. California’s workplace health and safety enforcement agency, Cal/OSHA, has repeatedly cited the warehouse since 1993, including multiple citations over the past three years. Workers filed a formal complaint with Cal/OSHA in June 2015, triggering an investigation at the facility. In November 2015, over $21,000 in citations were issued—4 serious and 6 general penalties. It was noted in these citations that the chipped paint at this facility contains lead. Cal/OSHA reinvestigated the facility a year later, resulting in additional serious citations in November 2016 amounting $67,150 for the warehouse and $51,275 for the staffing agency. Citations included not providing workers with steel-toed boots, not properly attaching shipping containers to the dock, and repeat violations for unsafe brakes on forklifts. The investigation regarding the company’s abatement of these citations is still active. On March 2017, the warehouse was issued a citation of $36,000 and the staffing agency another citation of $36,000 for an accident that occurred at the work place. Workers filed a third Cal/OSHA complaint in November 2017 and on June 6, 2018 the warehouse was issued serious and general citations totaling $5,430 for the warehouse and $5,430 for the staffing agency. · On October 10, 2018, new unfair labor practice (ULP) charges were filed against NFI/Cal Cartage and CORE Employee Management, a staffing agency and joint employer, for interrogation of employees about union and protected concerted activities; threatening employees with job loss; and threatening employees with plant closure. The case remains pending. · On September 28, 2018 Region 21 of the NLRB issued a consolidated complaint and notice of hearing to NFI California Cartage Holding Company, California Cartage Distribution, and California Transload Services as a single employer, and against these same NFI group entities and CORE Employee Management as joint employers. The complaint alleges numerous violations of the National Labor Relations Act (NLRA), including for disciplining and terminating a warehouse worker in retaliation for his union activities and other protected concerted activities, such as informing his co-workers of their right to take a heat break, and actually encouraging and taking a heat break with them. The case was settled in December 2018. · On February 28, 2018, Administrative Law Judge (ALJ) Ariel Sotolongo issued a decision finding that California Cartage and its subsidiary Orient Tally violated workers’ rights at the 2401 E. Pacific Coast Highway, warehouse, including engaging in unlawful interrogation, implied threats of termination, and confronting workers in a physically aggressive fashion. This decision ordered the company to cease and desist the unlawful behavior, and was issued following a hearing held in June 2017. The case arose after Region 21 of the National Labor Relations Board (NLRB) issued a March 2016 Consolidated Complaint (Cases: 21-CA-160242 and 21-CA-162991) against California Cartage for ULP charges. On December 4, 2018, the NLRB issued a decision on the exceptions to ALJ Sotolongo’s decision and reversed his finding regarding the implicit threats. 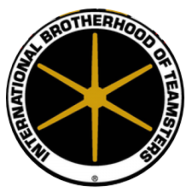 · From late 2016 through February 2018, workers at the same warehouse have filed numerous ULP charges (Cases: 21-CA-190500 and 21-CA-207939) with the International Brotherhood of Teamsters against California Cartage for several unfair labor practices including then company owner Bob Curry threatening to close the warehouse if workers unionized. A trial for the consolidated case was held the week of July 23, 2018 and a decision is pending. · On September 13, 2018, the US DOL announced that it found that California Cartage Company and five of its subcontractors had violated federal contract provisions of the McNamara-O’Hara Service Contract Act (SCA). Its investigation determined that Cal Cartage owed over $3.5 million to 1,416 workers for failing to pay the federal prevailing wages and required health and welfare benefits to workers at the Centralized Examination Station it operates for the US Customs and Border Patrol in Carson, CA. There is also a separate DOL investigation for SCA violations regarding a federal contract to move military cargo that was stored at the Cal Cartage Wilmington warehouse site. The status of that investigation is unknown. In September 16, 2018, workers at the Wilmington warehouse filed two complaints with the CA Department of Fair Housing and Employment (DFEH) for racial discrimination. A third complaint was filed September 26, 2018. On December 17, 2014, workers from the California Cartage warehouse on Pacific Coast Highway at the Port of Los Angeles filed a class action lawsuit alleging millions of dollars in wage theft, primarily for failure to comply with the Los Angeles Living Wage Ordinance, which applies to businesses such as California Cartage that contract with the City of Los Angeles. On November 28, 2018, the court issued a final approval of a $1.9 million settlement the workers reached with the company. A hearing is scheduled for August 7, 2019 regarding compliance with the settlement. NFI/Cal Cartage’s key customers include: Lowe’s, Amazon, TJ Maxx, Kmart, Sears, Puma, Vans, and New Balance.